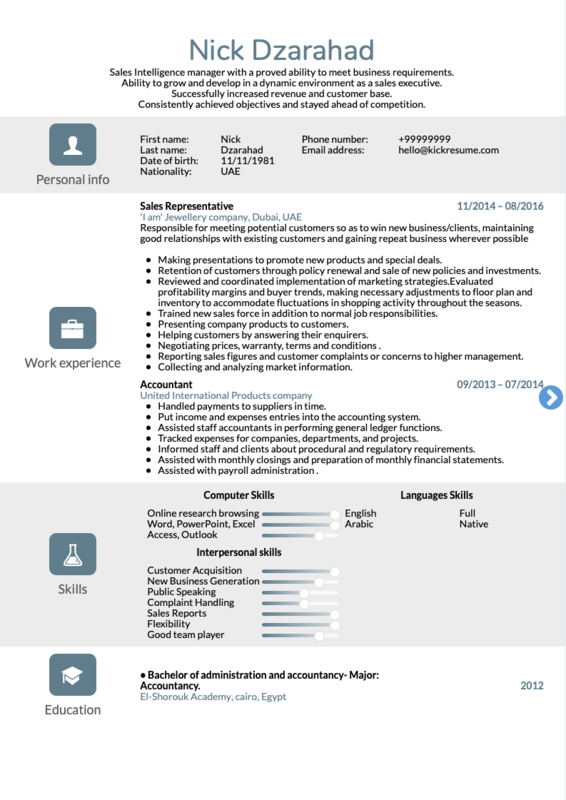 Are you looking for a job in Sales? Are you great at building relationships? Do you have a knack for understanding the customer’s business quickly? Is the thrill of closing a sale one of your favourite things? Great! 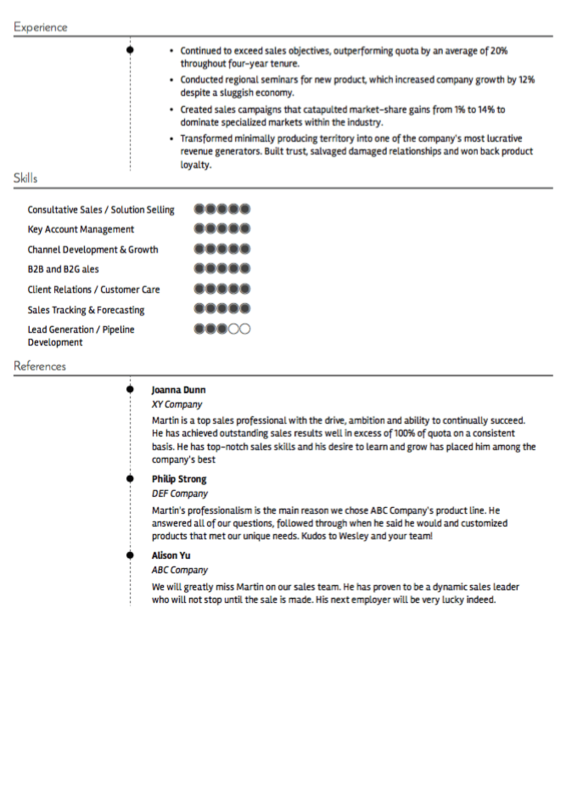 These sales resume samples will help you get closer to scoring that sales job you’ve always wanted. 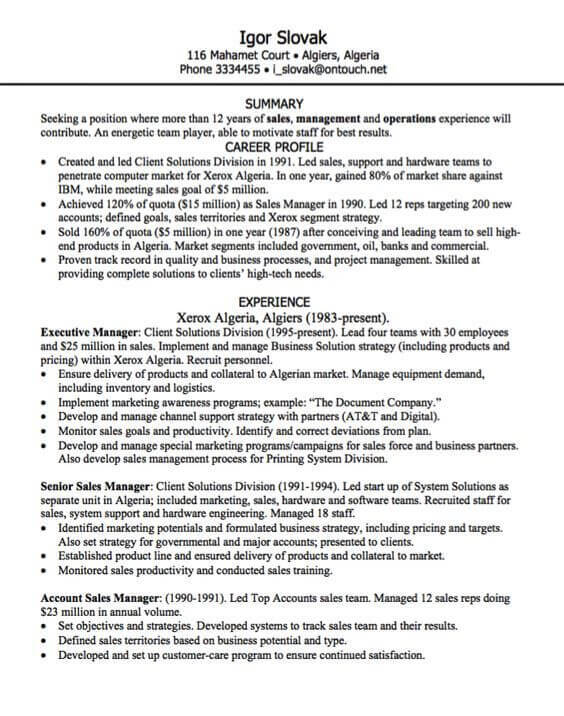 Some of these sales resume samples are from Kickresume, others are from SalesJobs.com. What they have in common is their relative frugality in terms of visuals. 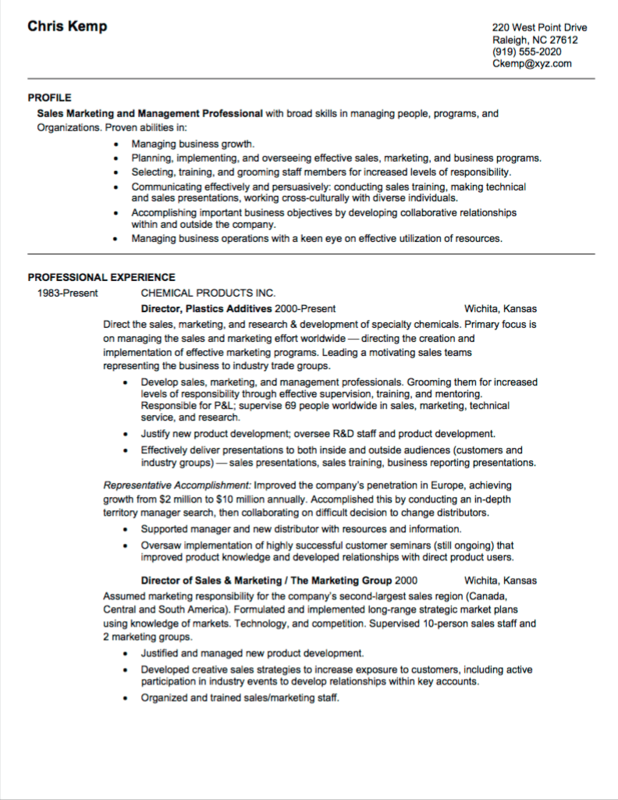 Although we’re big fans of visually striking resumes, in sales you should stick to more minimalistic design. If you’re applying for a job in sales, keep in mind that content is king. For this reason, it can be even greater challenge to make it look well. Focus on structuring your resume clearly, support each of your accomplishments with data, and be quite liberal with bullet points. Let’s get started! 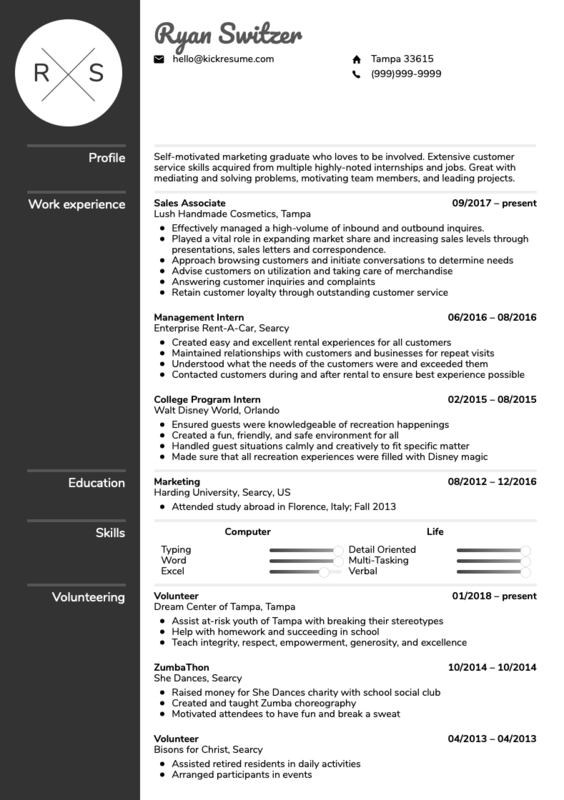 These resume samples were written by some of the Kickresume users who got hired at the world’s top companies. You can find hundreds of them in our resume library. 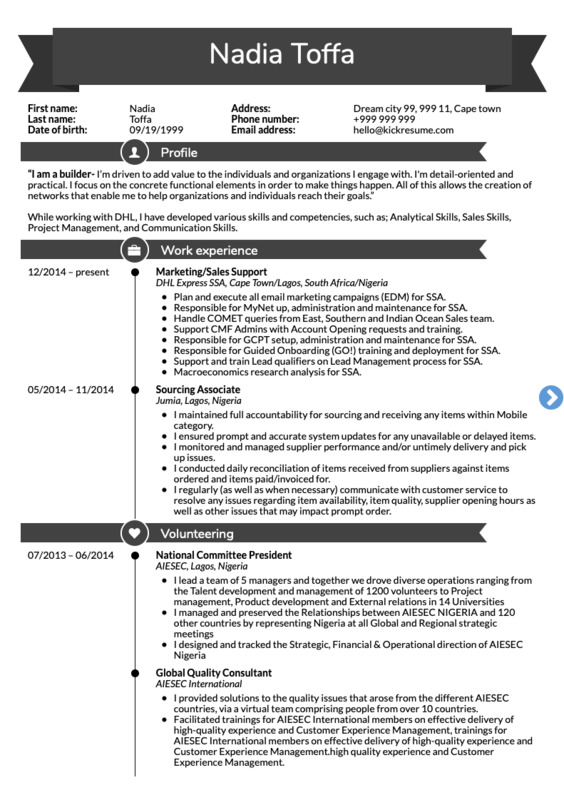 All resumes are sorted by the position and name of the company. 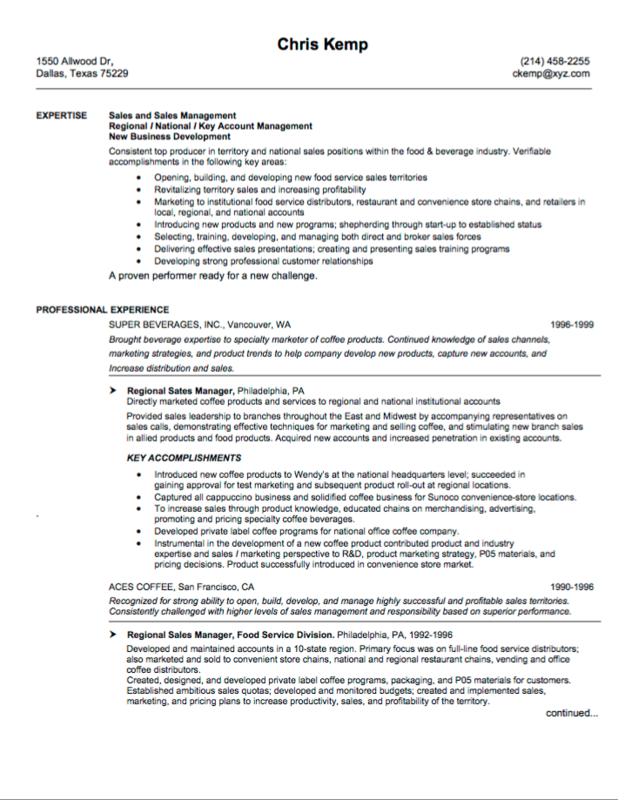 Some of the following resumes were written by us, others are from SalesJobs.com. 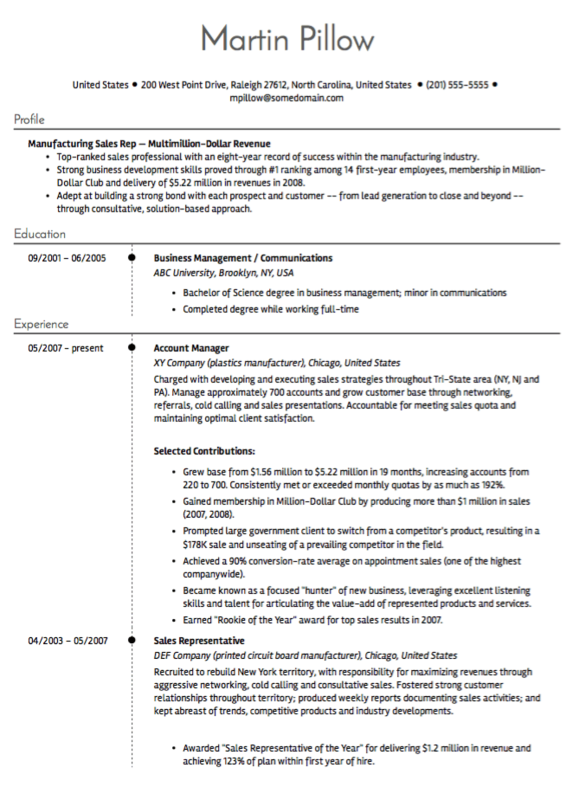 We consider them to be great examples of what an excellent sales resume should look like. 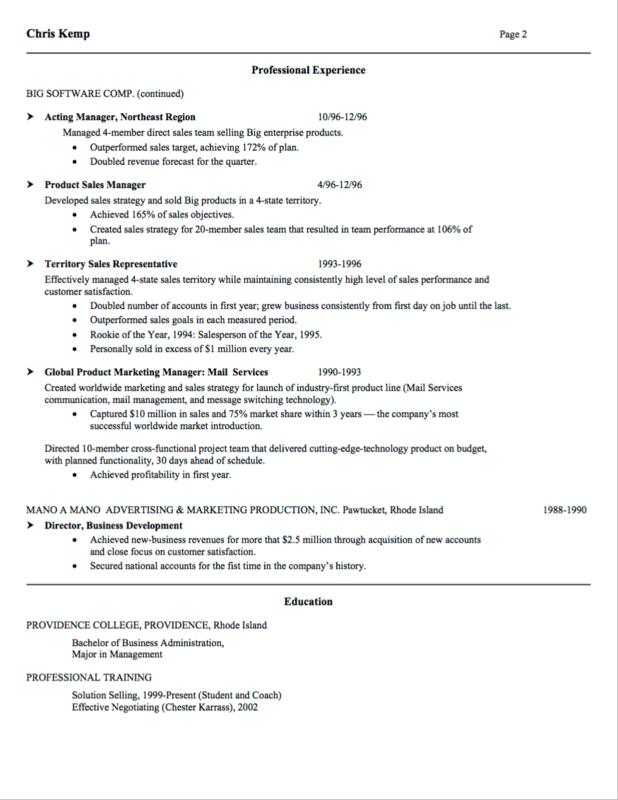 This is the most daring sales resume on our list in terms of visuals. 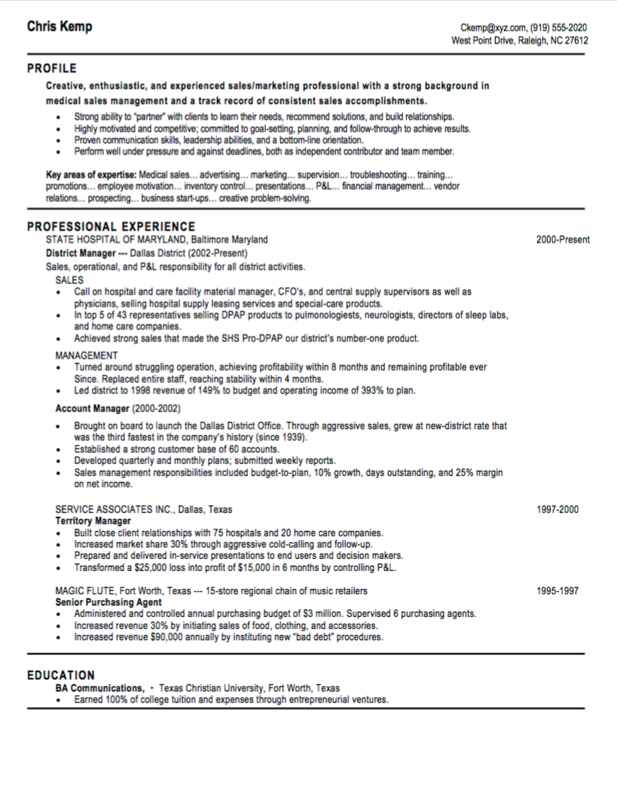 Notice how the vertical line guides your eye throughout and enhances readability of the resume. Good visuals, if used sparingly, can increase the chance that hiring managers will read your resume until the end. 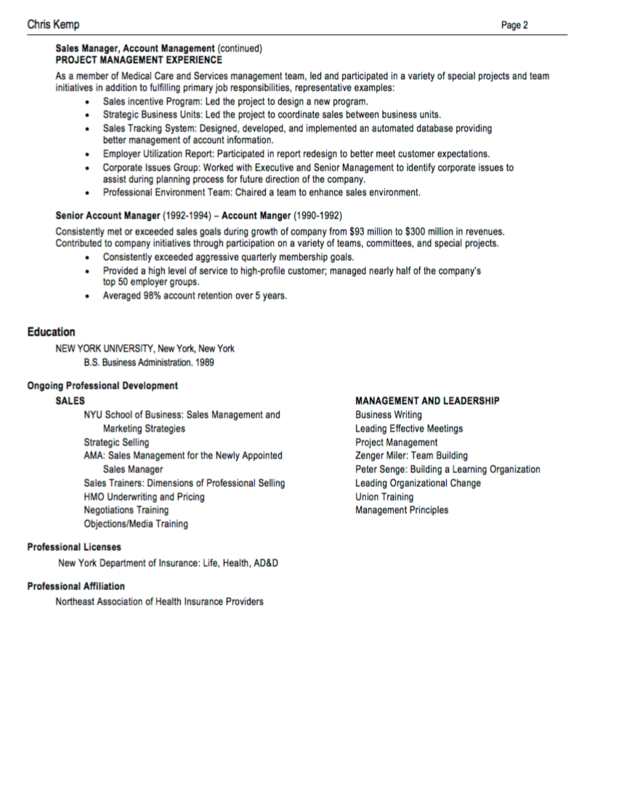 This resume shows how you can write a substantial resume even if you don’t have a long list of employers. Notice how is the content in the current job section divided into skill sections. Also, note the bullet points with key accomplishments and hod they are filled with percentages and dollar signs to support the claims. Notice the “Key areas of expertise” subsection and how it contains a good number of keywords. 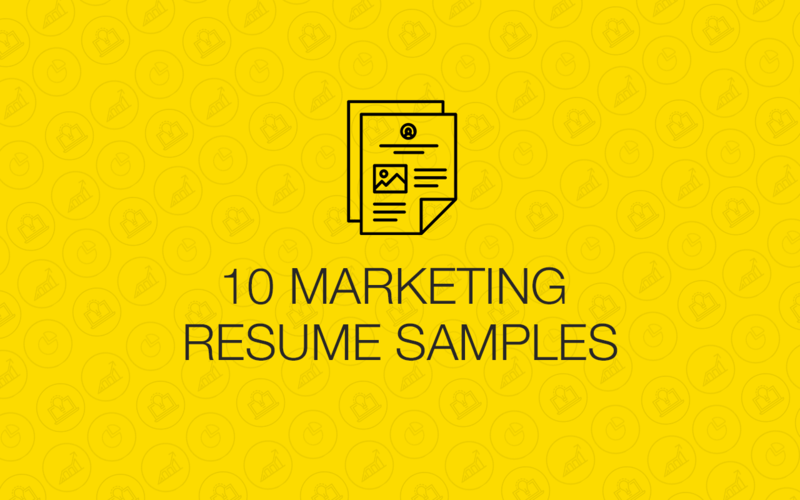 At the same time, the resume is clean, spacious, and easier to read than most on this list. 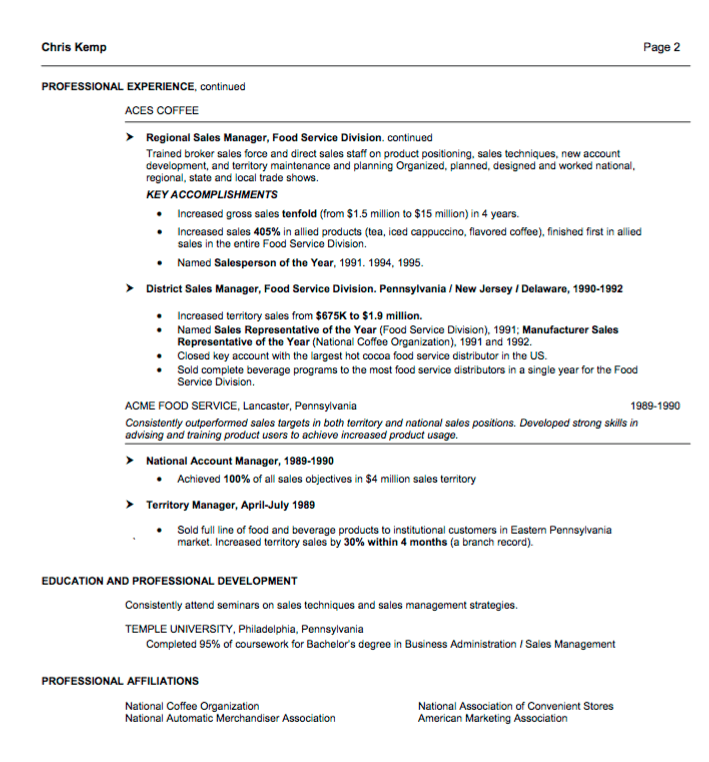 Notice how the numbers in bold support every quantifiable claim on this food and catering resume example. 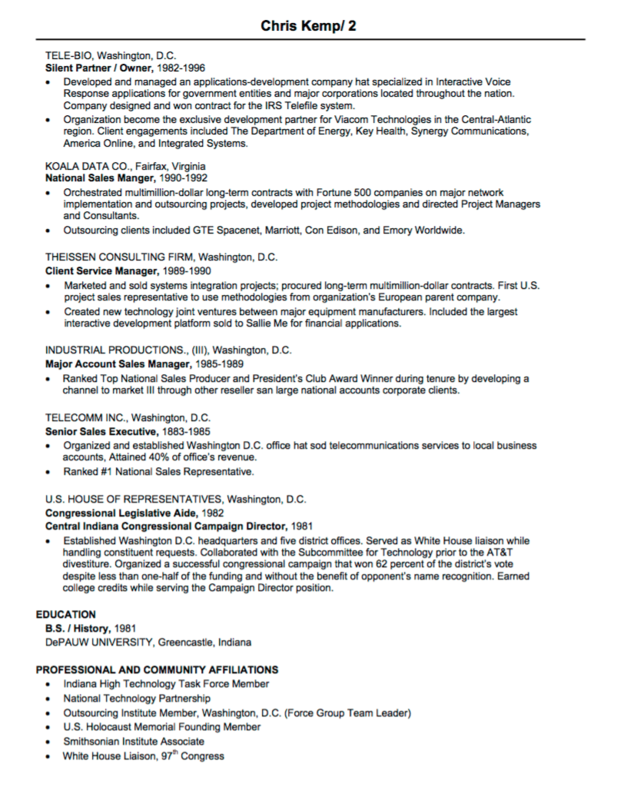 At the same time, the resume lists only “key accomplishments” which implies that this is not all he did, but merely the highlights. 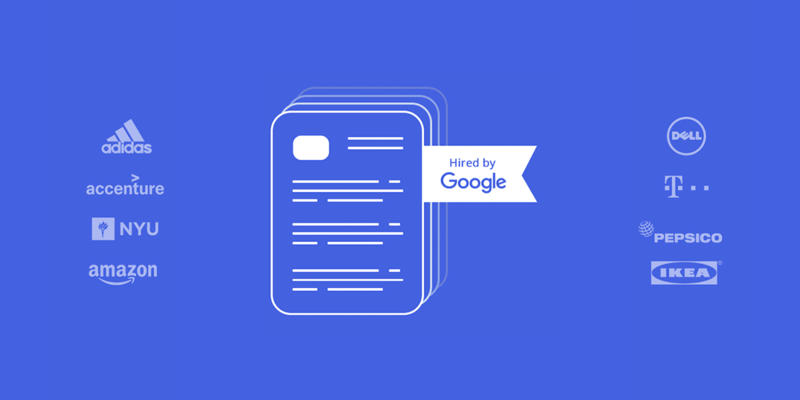 Allmost all job text is in bullets, with lots of numbers and quantifiable accomplishments. 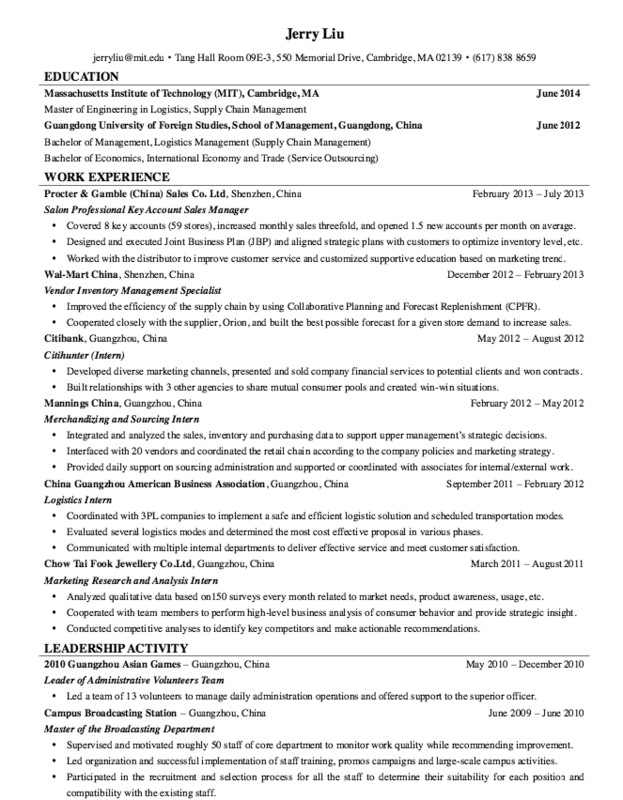 This resume example gives more information on the current position than the previous ones, which is a great trick for showing professional growth. 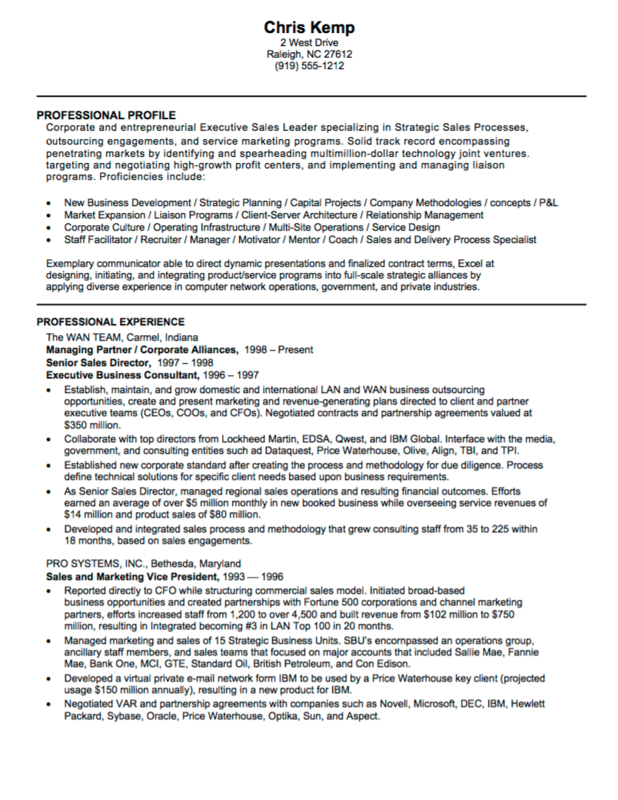 This is a great junior sales manager resume example of how you can fit a lot of information into a single-page resume. It’s well structured — it’s immediately clear where a section begins and where it ends. 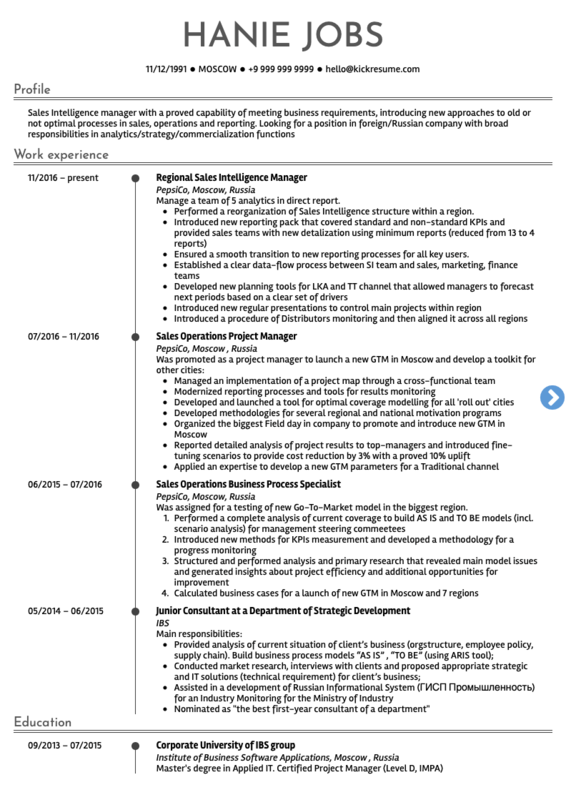 At the same time, the highlights of each job are concise and easy to read. 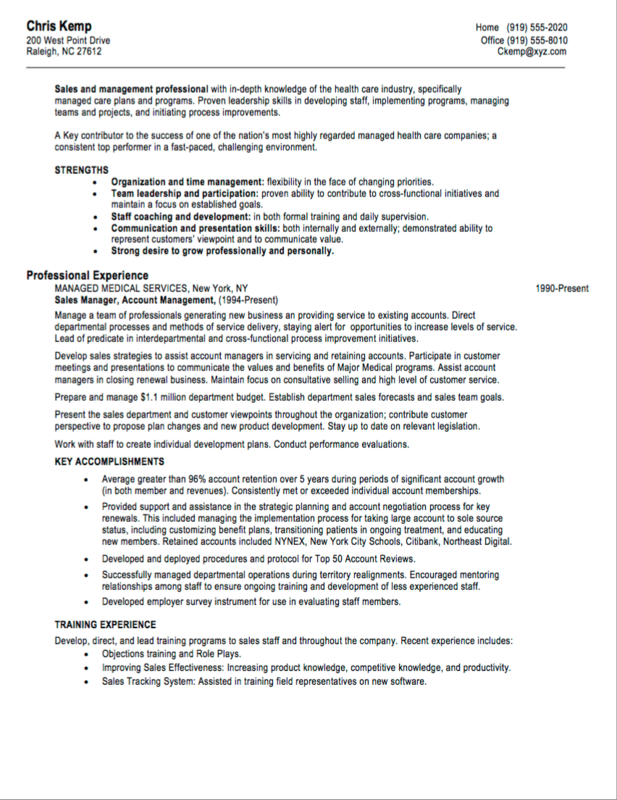 Another IT Sales resume sample that wonderfully quantifies all the achievements that can be quantified. People who do the hiring live and die by the numbers. Try to speak their language. 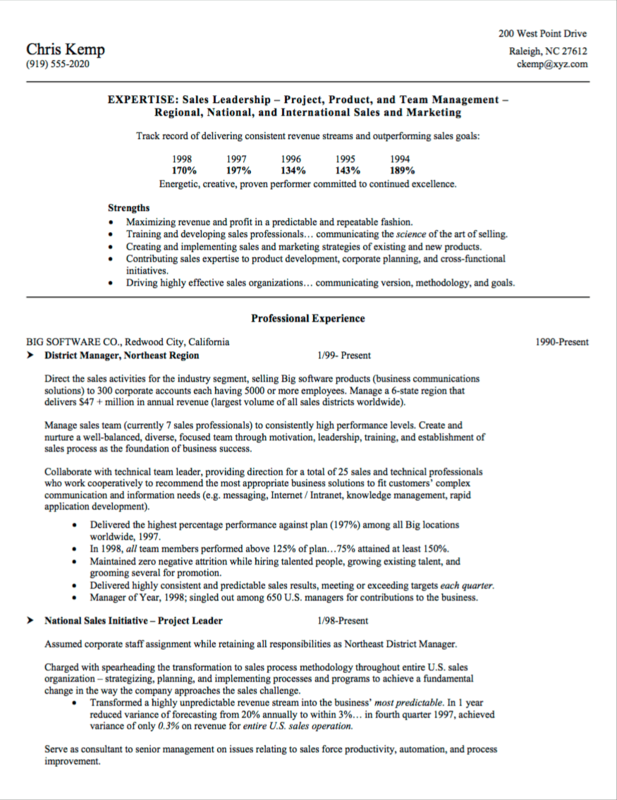 This is a great format to use if you only have a few years of experience but are a solid performer. Look at those percentages in bold (although it would be more efficient to use some visuals to communicate it even more clearly). 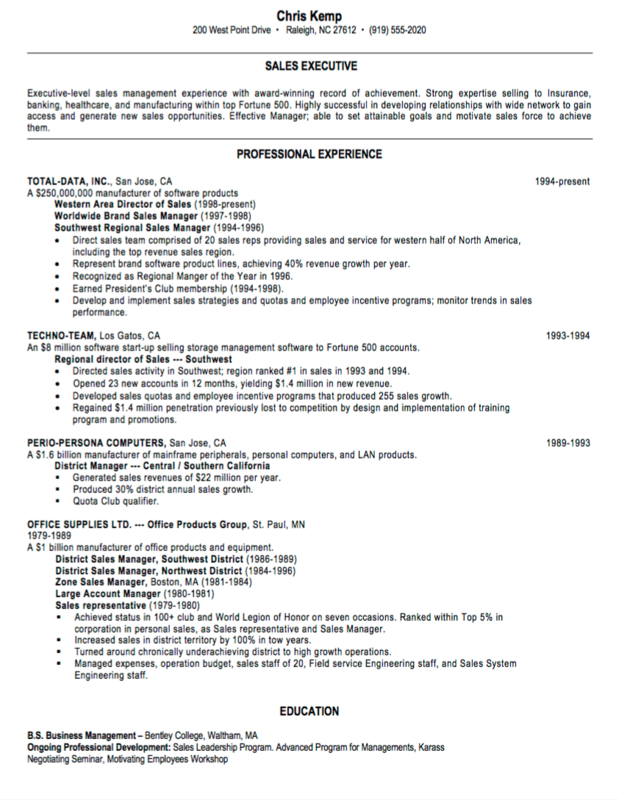 Notice how the “Profile” section is filled with keywords that an ATS robot would be looking for.